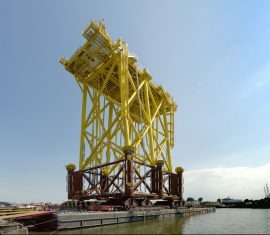 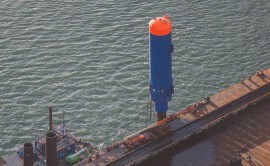 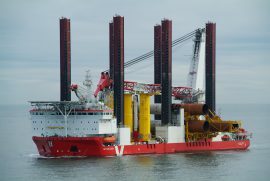 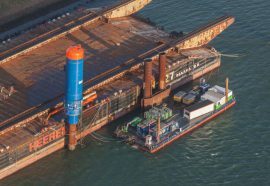 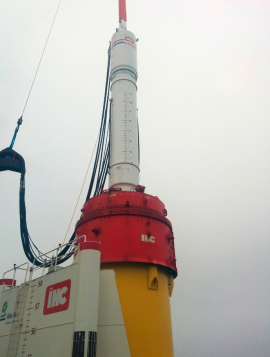 Jan De Nul’s wind farm installation vessel Vole au vent arrived in the Port of Eemshaven last week to be equipped with a hydraulic pile hammer and a noise mitigation system ahead of foundation installation works on the Borkum Riffgrund 2 offshore wind farm. 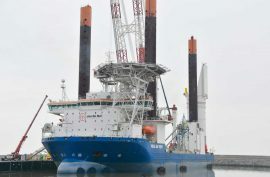 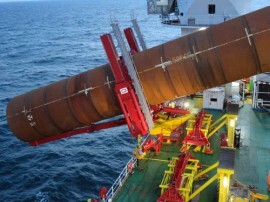 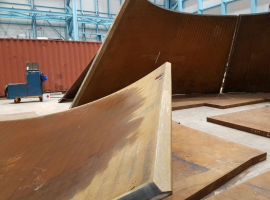 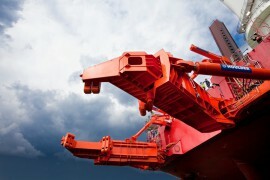 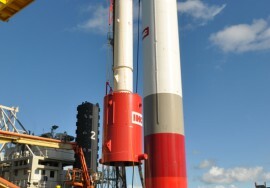 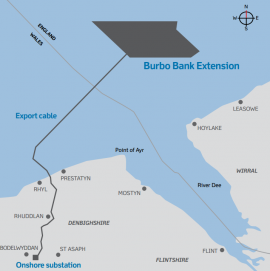 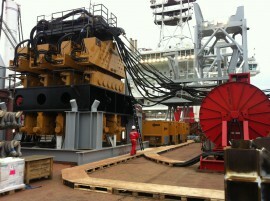 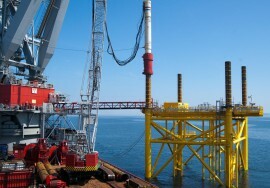 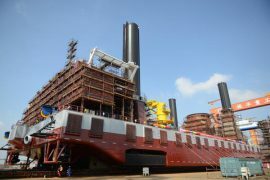 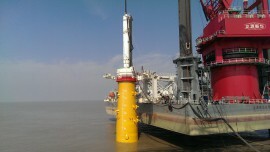 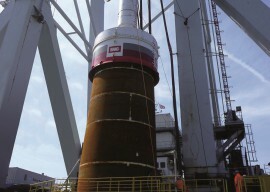 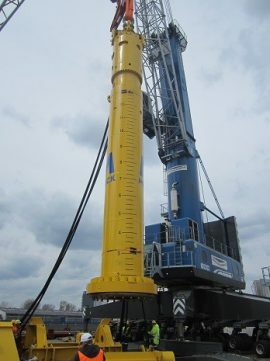 Lloyd’s Register (LR) has assessed Fistuca’s BLUE Hammer technology showing that it has the potential to produce “far less” underwater noise during the installation of offshore wind foundations compared to hydraulic hammers. 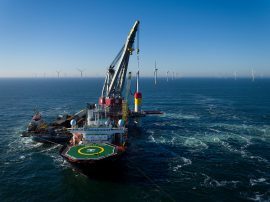 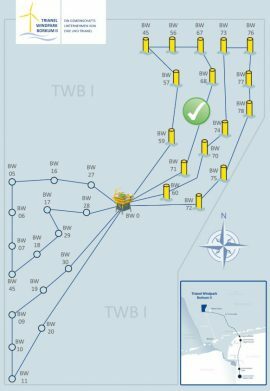 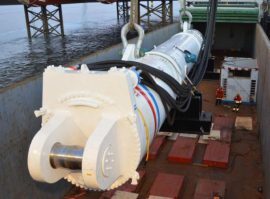 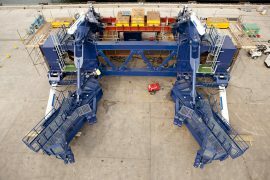 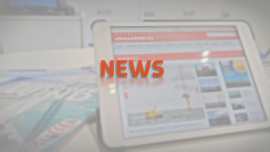 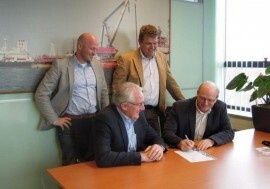 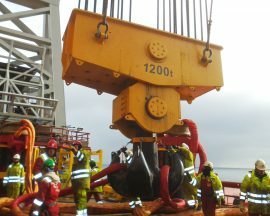 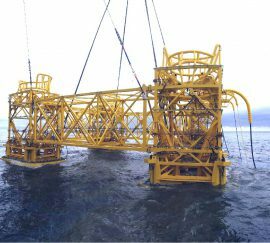 Iceland-based manufacturer of high-tech ropes and nets – Hampidjan – sees more room for doing business in the offshore wind sector after a contract with Seaway Heavy Lifting (SHL) for the supply of fibre slings that SHL used during the Beatrice piling works, completed earlier this month.